Five Applications where Water Activity is critical and why! Not clear on what water activity is? Check out our other posts on water activity here! 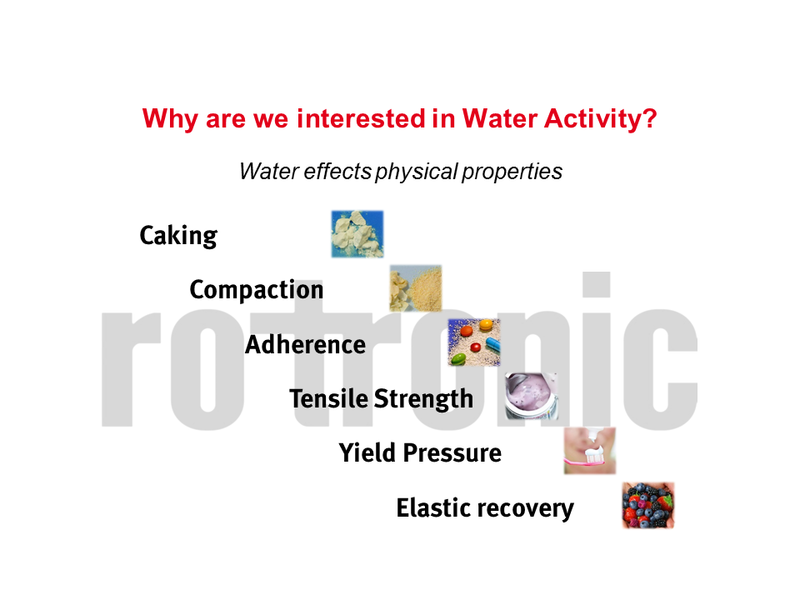 Water activity affects a wide range of products from pharmaceuticals to foods, here we take a brief look at five typical applications where water activity measurements are used. 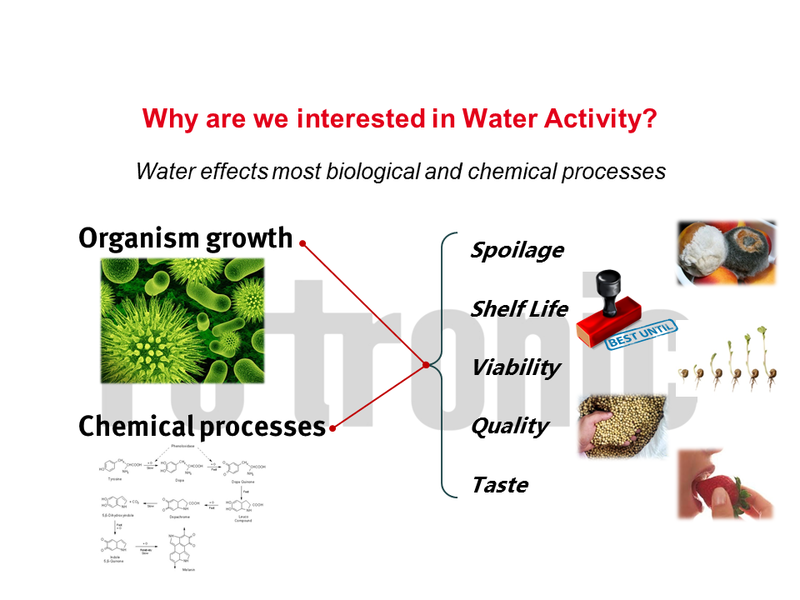 Remember water activity affects biological, chemical and physical properties of products. Water activity is critical in food production, reducing water activity reduces the available moisture for spoilage organisms to utilise as such low Aw can limit or prevent growth and spoilage. Aw is often used to screen raw ingredients or end products to confirm that they are within tolerance. Aw measurements only take a few minutes and can therefore provide immediate feedback. This can save time, money and prevent health risks or product spoilage. Aw can be used as an excellent indicator of shelf life. Once a production process has been fine tuned to deliver products with suitable shelf-life, online aw measurements can confirm production consistency. Classic methods to control Aw in food are listed below. Water activity or %equilibrium relative humidity in paper may not be your first thought, but the impact of poor or changing ERH in paper can be very costly. Changes in ERH can cause paper to curl or lead to increased static both of which can cause paper jams. For an industrial printing company this can lead to costly downtime. ERH also affects the binding of inks, drying times and ultimately spoilage by moulds and fungi. Drug production and storage is one of the most highly regulated manufacturing sectors. All stages of drug production, storage and delivery rely on critical control of many factors including water activity. Most drugs must be stored in stable conditions hence the advanced moisture impermeable packaging used. Aw readings as well as humidity monitoring and control are utilised to ensure free water is maintained within tolerance. Finally we come to good old washing powder, even with powders and liquids now packed into clever tablets and pods Aw remains critical. The materials must be stored in a way that ensures safe delivery to the customer but can be released once in contact with water in your washing machine. The science of behind the latest washing powders and liquids relies heavily on the measurement and conrtol of water activity and %ERH! Hopefully this brief in site into how water activity affects so many day to day products has been useful. For more information visit our website or contact us to discuss!